How to install or remove Duplicate Sweeper from your PC. This support article details how to install Duplicate Sweeper on to your computer and also how to remove Duplicate Sweeper from your computer once it has been installed. How to Install Duplicate Sweeper. 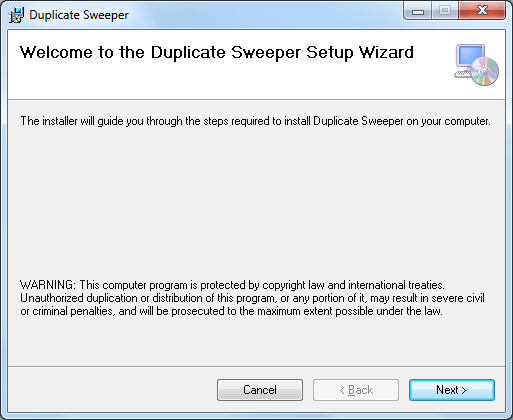 Download the latest Duplicate Sweeper installer. Open/run the downloaded Duplicate Sweeper installer file. Follow the on-screen installation prompts. 1. Depending on the browser you are using, a windows should appear like this one. Click "Save". Duplicate Sweeper will then download to your PC. 2. Once the download is complete, click "Run" to start the Duplicate Sweeper installer. Alternatively, you can start the Duplicate Sweeper installer by double clicking the downloaded installer package. Depending on your web browser, the installer will either either have been downloaded to your Desktop or your Downloads folder. 3. Double click on the Duplicate Sweeper installer to start installation. 4. Work through the on screen prompts of the installer by clicking next. 5. Once installed, you can run Duplicate Sweeper by double clicking the Duplicate Sweeper icon on your desktop. How to Uninstall Duplicate Sweeper. 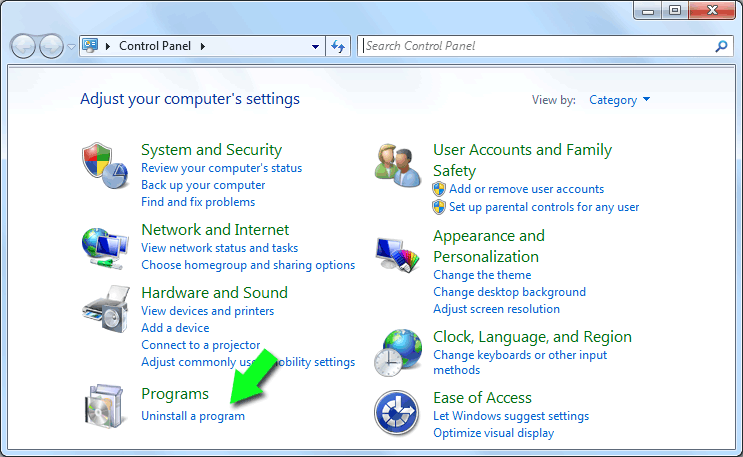 Open your "Windows Control Panel" and select "Uninstall a Program". 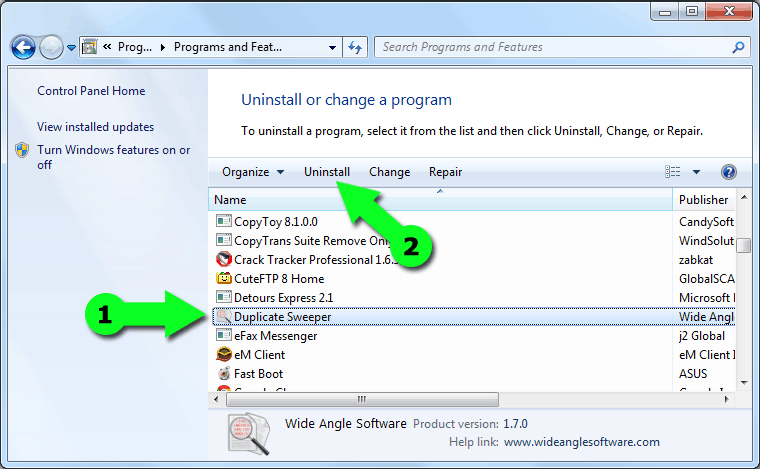 Select Duplicate Sweeper from the list of installed programs and select "Uninstall". Follow the on-screen prompts to fully remove Duplicate Sweeper from your PC. To completely remove Duplicate Sweeper from your PC, open your Windows Control panel and Select, "Uninstall a Program". Next (1) Select Duplicate Sweeper from the list of installed software on your PC. Then (2) click the "Uninstall" button. The Duplicate Sweeper uninstaller will then start. Follow the on-screen prompts to quickly remove all traces of Duplicate Sweeper from your computer. Thank you for trying Duplicate Sweeper. How to remove duplicate files from Google Drive? How do I search for duplicate files on my External Hard Drive? How do I remove duplicate files using Duplicate Sweeper? What are the free demo restrictions of Duplicate Sweeper? Is Duplicate Sweeper purchase a one-time payment or a subscription?